C.T. 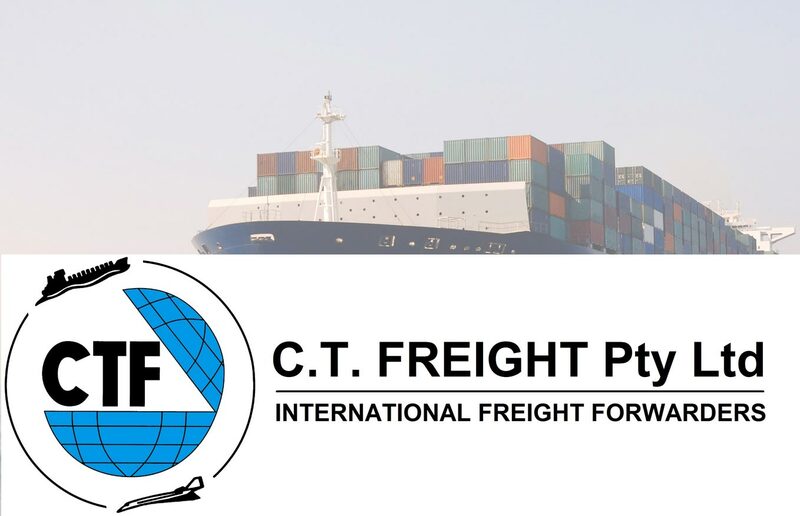 Freight is an independent international freight forwarder based in Australia. The business was established in 1981 by Clive Thomas who is owner and CEO of the company. C.T. Freight has contractual agreements with all airlines operating out of Australia, as well as with all major shipping lines to worldwide destinations. Offering a comprehensive range of freight forwarding products including third-party logistics (3PL), eCommerce and express cargo. All solutions are tailor-made to suit their individual clients. C.T. Freight offer all facets of international freight forwarding and logistics, including perishable forwarding and logistics services and are one of the few forwarders to have bonded warehouses at every major Gateway in Australia. Facilities are approved air & sea Customs and Quarantine warehouses. An accredited member of IATA, CBFCA nd AFIF. C.T. Freight is an Australian Regulated Air Cargo Agent at all locations. C.T. Freight is continuing to expand with international offices already established in New Zealand, Singapore, Los Angeles and Houston. Worldwide strategic partners service global needs to ensure that C.T. Freight have the most competitive solution to your forwarding requirements in any part of the world. Offering a comprehensive range of freight forwarding products and specialise in customising a service that suits individual clients. C.T. Freight perform distribution and logistics services for general and perishable freight with freezer and cool room facilities available at all of their Australian locations.